4 Highlighters That I highly Recommend!! Too Faced CANDLELIGHT GLOW Highlighting Powder Duo($30): The highlighter is basically a duo having a soft pink shade and a champagne shade. 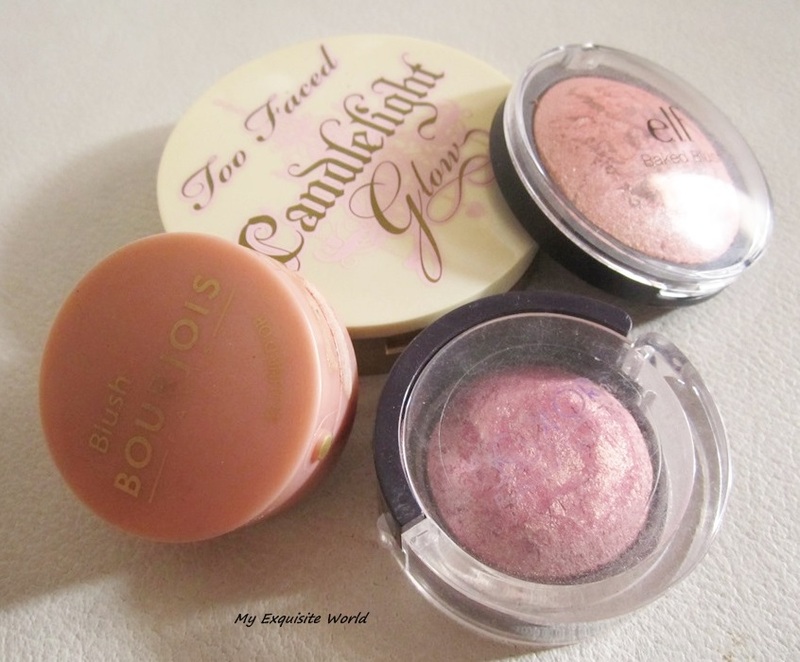 Both mixed together bring out soft gold highlighter. Bourjois Lune D’or Blush (rs.710): This blush is a shimmery light rosy pink color with tiny gold reflects.When applied alone it is very sheer, and can be used lightly as a highlight color. The color can be built up to a more light peachy/gold color. The texture is smooth though not very satin soft as this is a baked blush.The shimmer present is soft and minute.It does show up on cheeks and is a bit too much for those who prefer matte blushes. It is a sheer shade but it does show up on my skin if swiped 3-4 times.It is more of a highlighter shade than blush and leaves a pearlescent glow on my face.It stays for about 5-6 hours. Elf Baked Blush Peachy Cheeky ($3): Peachy Cheeky is a very pretty, subtle, bright peachy-pearly with slight pink tint shade. It is very similar to Benefit Coralista because of its satin finish and color. 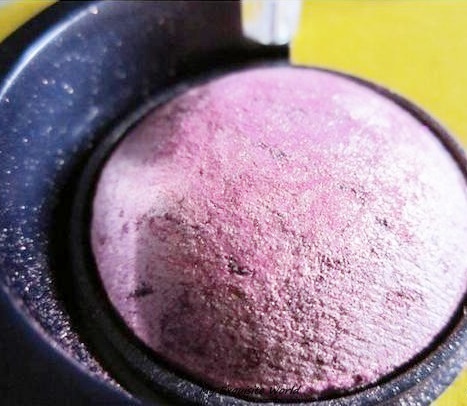 Incolor 842 Professional Eyeshadow(rs.180):This is basically a baked eyeshadow..842 is purple-pink toned having a beautiful golden sheen and very less purple sparkles.It provides a gorgeous sheen to cheeks. 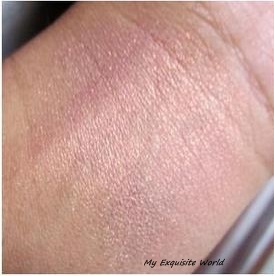 The texture is smooth despite of the sparkles.I t is decently pigmented.One swipe provides much-needed colour.It Never broke me out.The shade stays for about 4-5 hours.I just love the finish of this shade. Altogether I just love these and use them with love.All the shades provide natural glow to face and never look overdone.I highly recommend having at least one.You will definitely love them and it can be used in the coming festive season!! Have you tired any of these highlighters? Do comment and share your views! !